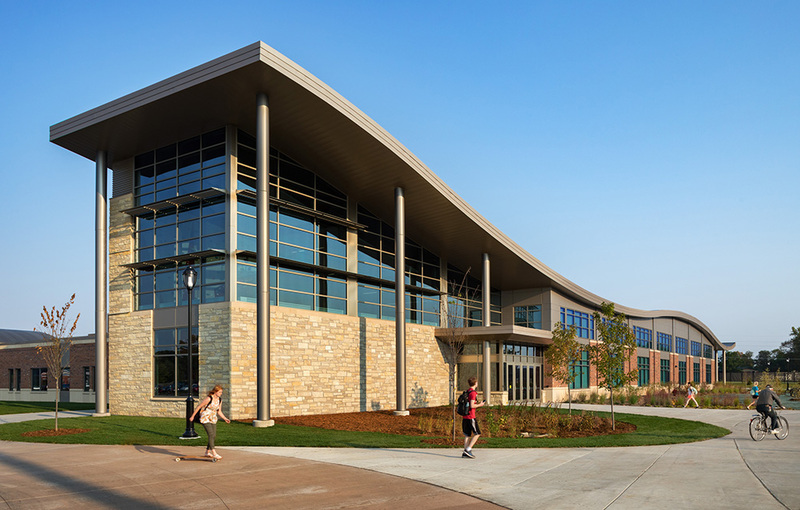 Hastings+Chivetta, in association with Ayres Associates, has designed the Falcon Center, the largest building project in University of Wisconsin-River Falls history. 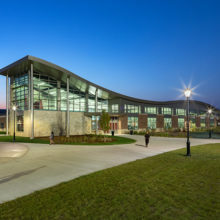 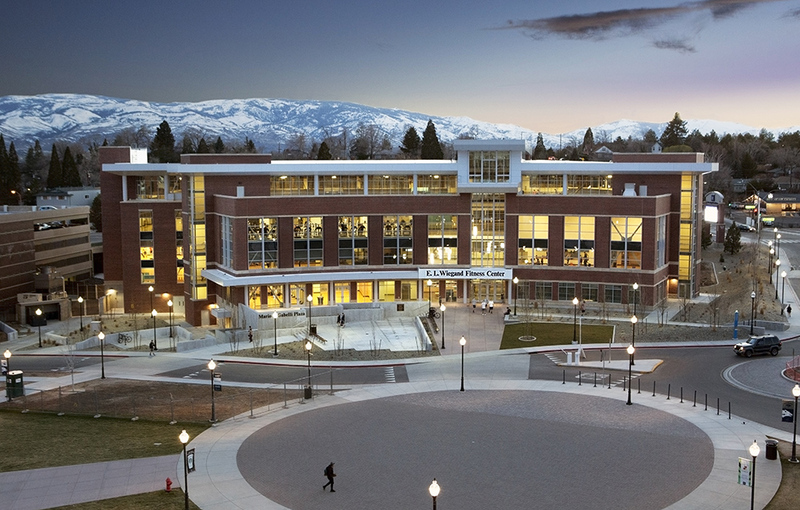 The Center houses the University’s Health and Human Performance program, as well as athletics and student recreation spaces. 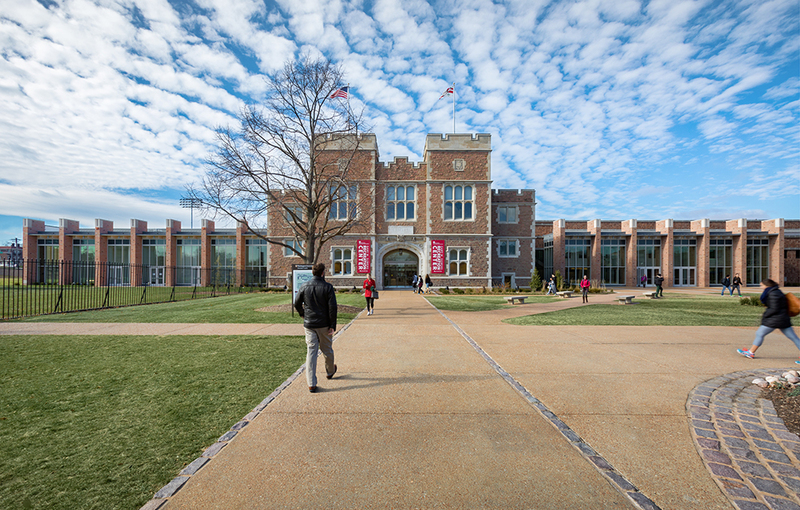 The exterior is clad in brick with limestone at the base and as accents, which acts as a visual reference to the existing Knowles Center as well as ties into the overall architecture of the main campus. 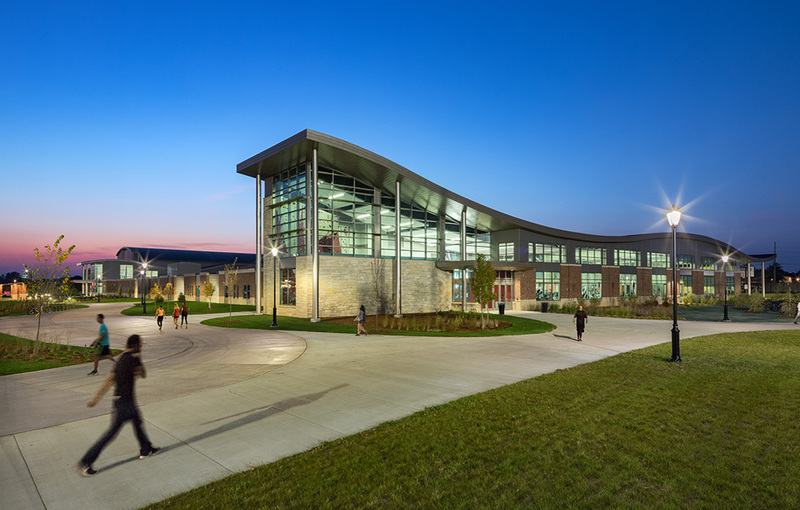 The graceful serpentine roofs at the two entry points allow for varying interior heights, and at night serve as a lantern of the athletic complex. 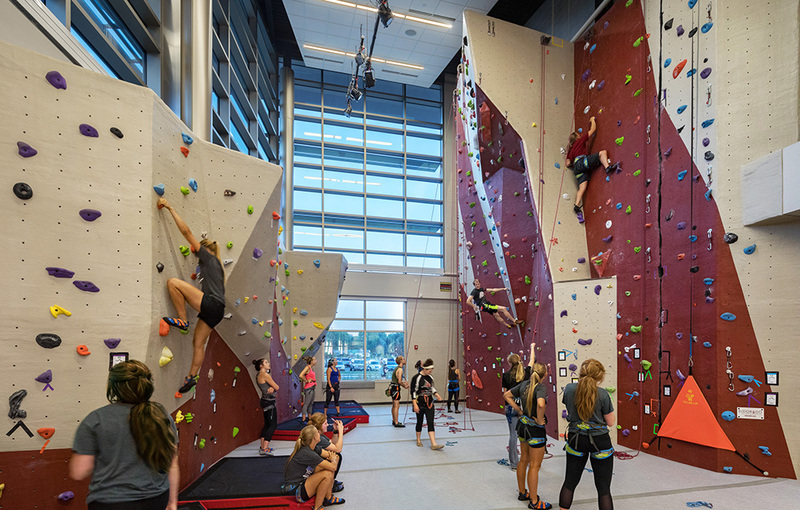 A 38’ climbing wall is located at the highest point of one of the serpentine roofs, and gradually flows into the fitness and cardio areas. 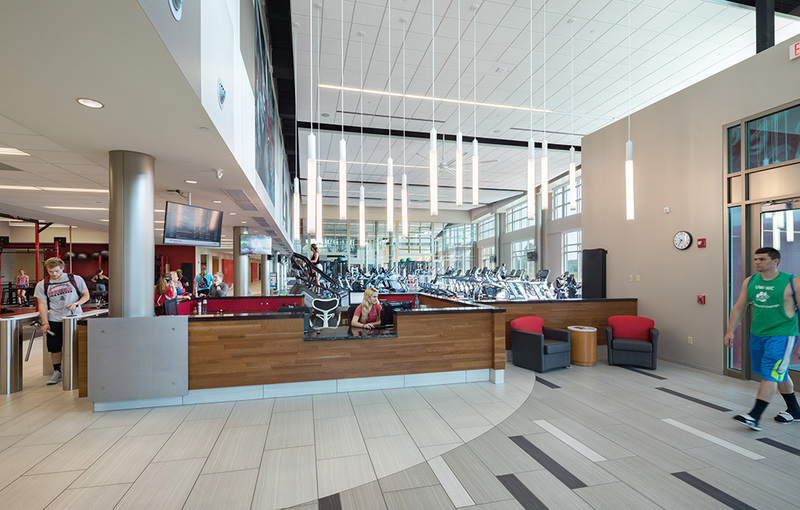 Glass garage doors, which can be opened or closed, separate the cardio fitness and athletic free weight areas and increase the versatility of the space. 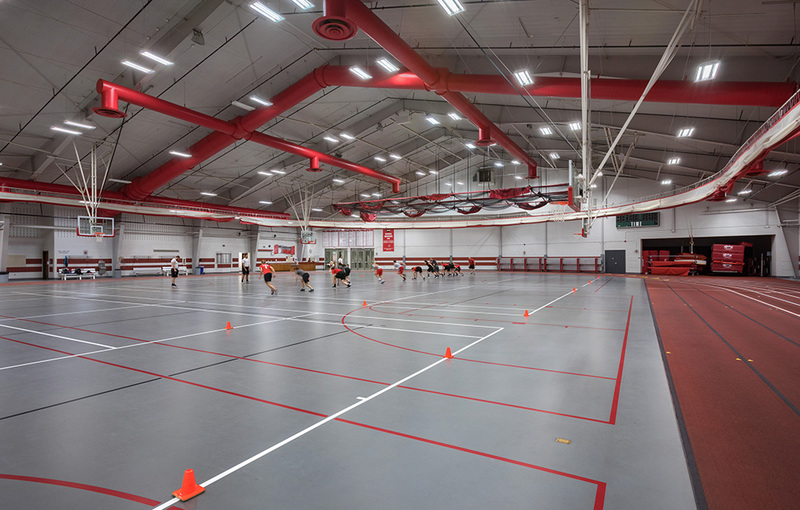 When closed, the noise from each area is contained but visibility throughout the area is retained. 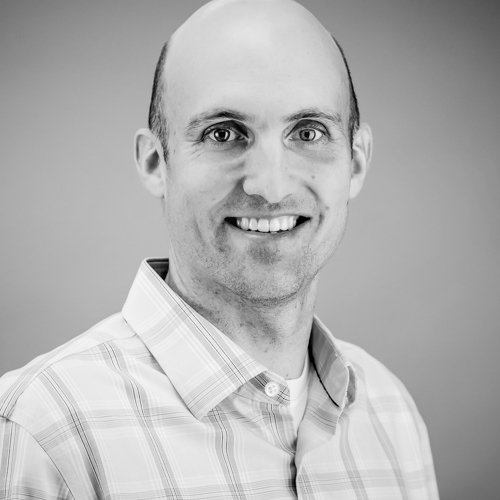 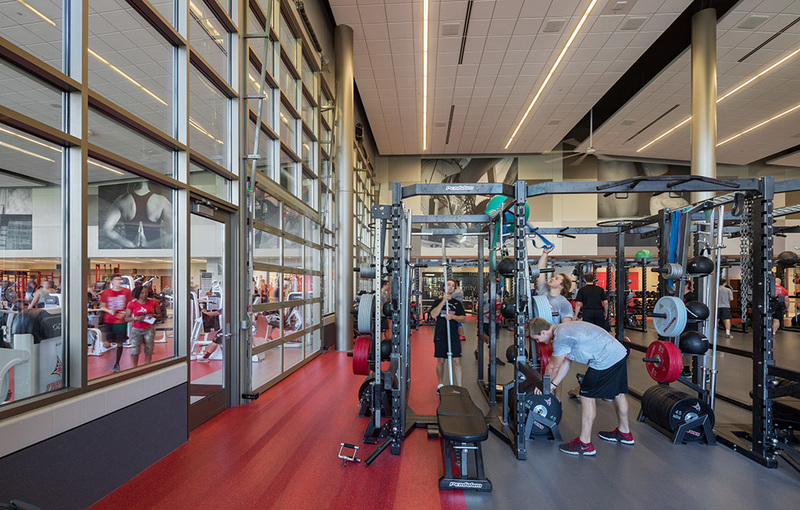 The new design replaces substandard and outdated athletic and instruction facilities. 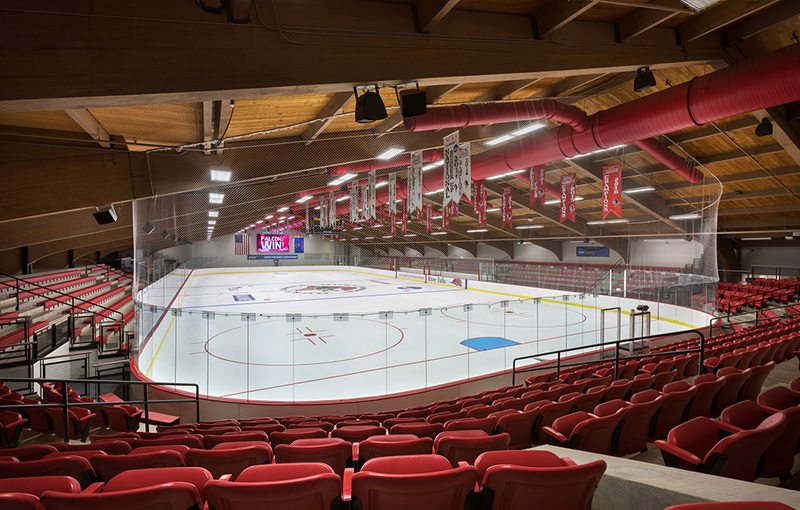 The Hunt Arena ice rink seats 1,400 with a combination of fixed seats and bleachers. 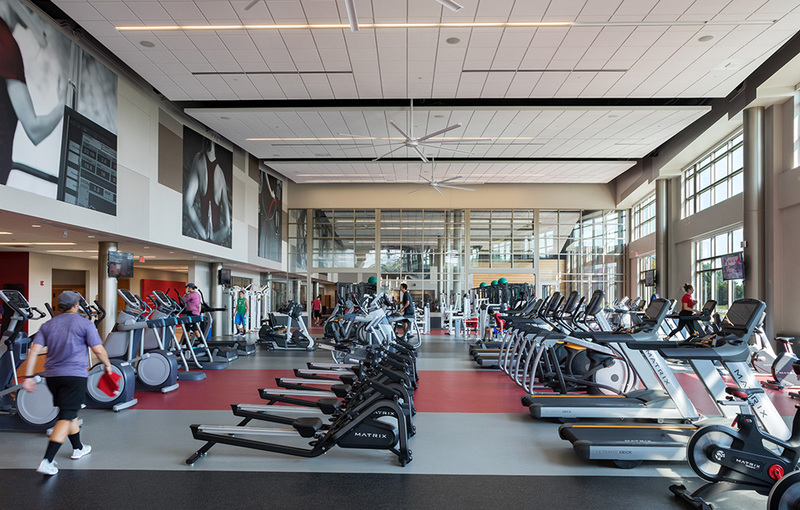 The redesigned concourse eases navigation, and the back-loaded seating improves visibility and functionality for fans. 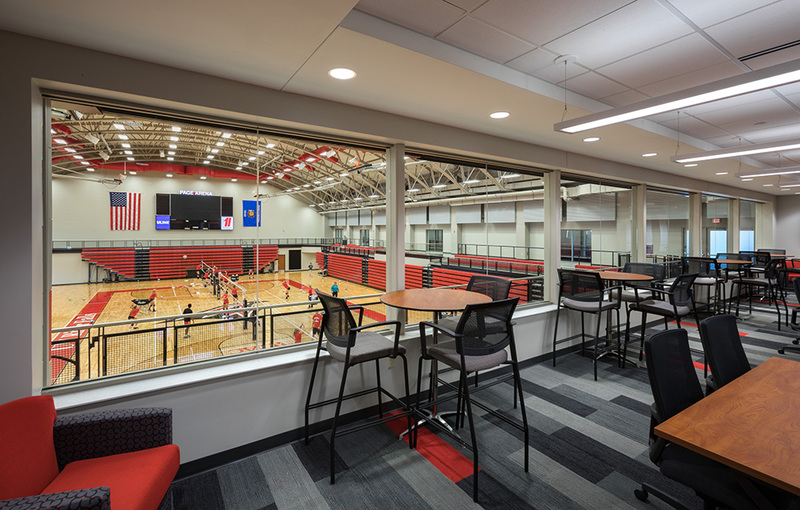 The arena also boasts a new scoreboard and oversized 18’x10’ horizontal video screen. 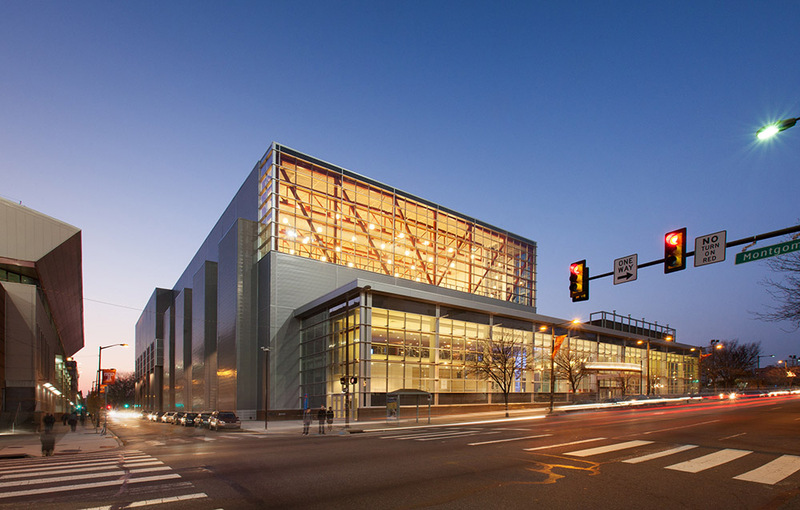 The Page Arena seats 2,000, and the two arenas are connected by a common concourse, which houses a centrally-located concession stand. 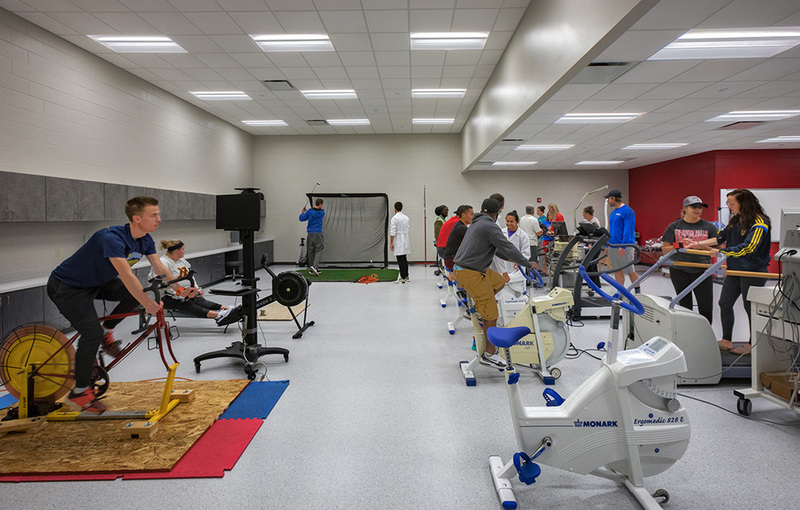 In addition to a large gym and an auxiliary gym, fitness center and a human performance laboratory, the new Falcon Center provides classroom space, training rooms, locker rooms, a dance studio and offices.